Home Business Software Technology What Are the Types of Business Intelligence Software Available for Various Business Needs? What Are the Types of Business Intelligence Software Available for Various Business Needs? Power BI is Microsoft’s analytics tool which allows us to connect to all kinds of interesting data sources. It is all about making visualizations of certain data, eventually helping solve complex problems. The input data can be from various places like databases, Excel documents, Word documents, blogs or videos. Power BI gathers the data, creates a visualization out of them and helps us to make better decisions. There are two elements of Power BI. Power BI desktop which is a client application. It allows you to create data set, apply transformations to it and publish reports in your own customizable way. Power BI Service which is a web application holds the dashboards and databases which a user has created. Moreover, it can be shared with other colleagues so that they can get insights regarding the databases. SAP BusinessObjects Lumira is a self-service solution that allows analysts and decision makers to access data from various data sources and then transform the data into visualizations. It increases data manipulation abilities with better merge processes and replay manipulation steps. It also provides extended accession to more data roots and supports different data formats during accession. It empowers end users to personalize charts, add contingent formatting and then create simple user defined views without scripting or coding. The results can be shared through a kickoff button whether using On-premise or on the cloud. There are three elements of SAP Lumira namely, Lumira Desktop, Lumira Cloud and Lumira Server. OBIEE is an all-inclusive business intelligence program that provides a full range of facility including dashboards, ad-hoc queries, enterprise and financial reporting, notifications and alerts, scorecard and strategy management. It has various elements viz. ‘BI server’ which is a kind of a traffic cop to the overall software, it defines where the data comes from, how it relates to itself. ‘Answers’ is primarily the query tool within the OBIEE to which user can drag and drop data elements. ‘Dashboards’ allows to build, manage and maintain screen dashboards that contain a number of reports, graphs, individual components of information. ‘Delivers’ functionality is a tool to allow the definition of users who need to get the information and in what particular manner the content is received. ‘BI publisher’ is a Business intelligence tool for publishing the reports and can be used with any kind of editing tool like MS Word. It is an open source Java reporting tool where a user can easily convert a large data of project into a simplified output report. This report can be an analysis of some data compiled over a period of time. There are four main utilities provided by Jaspersoft viz. Dashboard, Analysis, Data Integration Software, and Reporting. In the Jasper Reporting Server, there is an online deployment scheme wherein you can deploy your reports. iReport Designer is a third party plugin created by Jaspersoft which proves graphical representation of an XML wherein you can design reports by placing elements like text fields, charts, graphs, maps etc. It is essentially a tool that will allow us to budget and forecast with direction using the information coming directly out of Dynamics GP product using a link Maestro product. 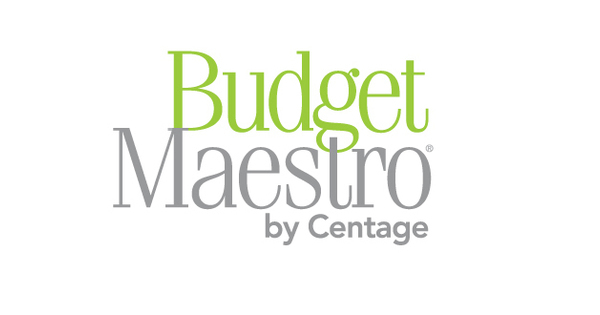 They are one of the only budgeting tools that will allow the user to do budgets on a cash basis as well, so not only a user can do his accrual basis budgeting but it will also allow you to look at what is your projective test position based upon your budgeting as well. It is a data visualization and data mining tool. It is an open source data visualization and analysis tool. In Orange, through visual programming or Python scripting, we can achieve data mining. This tool has elements for machine learning and it also contains add-ons for the information processing. It has features for different visualizations such as bar charts, trees, heat maps and network. By combining the various widgets, the design of data analytical framework can be done. It is supported on various versions of Linux, Windows and Apple Mac. It supports visual programming tools for data mining and provides python scripting. It works both as a script and with an ETL workflow GUI. The advantage is the short scripting for doing cross validation algorithms and predictions. Most of the professional people want to manage their company better through strategic planning for future business objectives and initiatives, BSC Designer is one of that software which uncovers business performance issues which hold employees accountable and ensures people work to provide the best results. It keeps everyone focused on getting the right things done and drives a culture of continuous improvement for long term success. It is available for several platforms. The purpose of this is to let everyone in the company to see the bigger picture of what’s going on and how a specific initiative can help improve business. The top managers and their teams create strategic maps through BSC Designer. With this map, one can express business ideas and transform them into business objectives linked with each other by cause and effect connections. These business objectives are associated with specific indicators and initiatives giving everyone a clear picture thus leading to business success.